Are you having a difficult time planning your child’s next birthday party? Face painting is a super fun way to keep your young guests occupied, excited, and entertained! 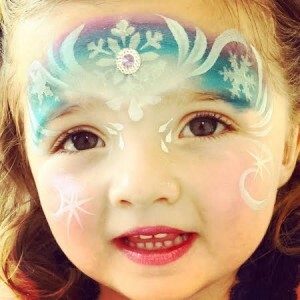 Our professional CT face painters are incredibly skilled artists and have a vast array of awesome face painting ideas. Our amazingly talented face painters can adhere to the specific theme of your child’s birthday or they can take requests on the spot! Is your child having a princess-themed birthday party? Does your daughter and her friends absolutely adore princesses? If so, our CT face painters are equipped with face paint in every beautiful color imaginable! One of our most requested princess face paint designs is a tiara or crown. (This design is typically painted at the top of a child’s forehead.) We also do Frozen, Cinderella, and the Little Mermaid themed designs and SO much more! Superman, Batman, Ironman—we can do them all! If your son or daughter is obsessed with superheroes like the Hulk, Captain America, and Spiderman, we can transform your child and his or her friends into the superheroes of their choice. We are able to do anything from superhero masks to elaborate, full-face designs. Animal face paint is undoubtedly a cute face painting idea and an absolute crowd-pleaser. Some of our most requested designs include cats, tigers, zebras, and butterflies! 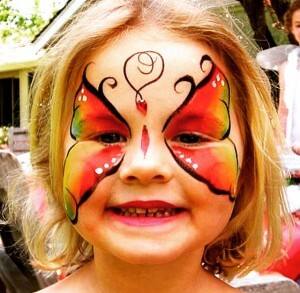 Our CT face painters pay exceptional attention to detail and can easily master any crazy or fun animal face painting idea your child comes up with! Our patterns and textures can be realistic or abstract depending on each child’s preference. Neon or glow in the dark face paint never fails to impress! 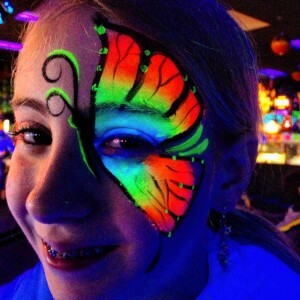 Neon face paint is great for children of all ages and can be a unique way to throw an unforgettable birthday bash! Glow in the dark face paint is an awesome face painting idea and can be paired with cool themes like outer space themed parties or parties that take place later in the evening! Why Choose Face Painters from Colorful Creations? 1. Our face paint is safe and easy to remove. It is FDA compliant, non-toxic, hypoallergenic, and easily removed with soap and water. Read more about our face painting ethics here. 2. One artist can paint 12-18 kids per hour for smaller designs and up to 10 kids per hour for intricate full-face designs. 3. Booking our face painters is stress-free and convenient. We are aware that most of our clients have full-time jobs or are incredibly busy. Because of this, our CT face painters come fully equipped with their own materials and plans. We are one of the only professional entertainment services in Southern CT who help our clients plan their parties. 4. 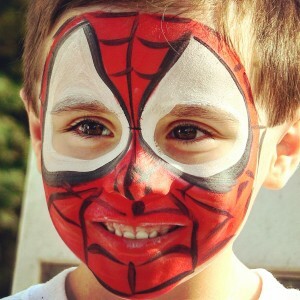 We employ some of the most professional, high quality face painters in the Southern CT area. For more information about the quality of our professional party entertainment, check out this blog post.